The annual London Festival of Architecture has begun: a celebration of architectural experimentation, thinking and practice, with lectures, exhibitions, student shows and tours. This year’s theme is Work in Progress, and for the first time, a new initiative is launched, a Focus Country. 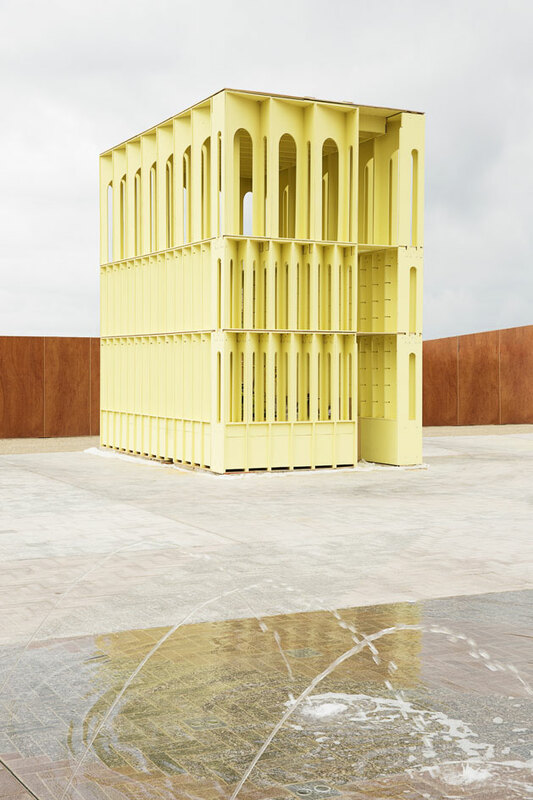 Ireland is the focus, with two pavilions – including this beautiful yellow one – in Kings Cross’ new public space, the Lewis Cubitt Square. London Festival of Architecture, June 1- 30 2015, various venues around London. More, here, and a useful round up, architecturaldigest.com. This entry was posted in happenings. and tagged architecture, festival, Hall McKnight, London Festival of Architecture on June 5, 2015 by owls house london..
Have you a wish list of events J I wonder … so much going on ! A quick look and I thought I ‘d like to see the Giant Dolls House Project for Shelter .